Its that time of year. The time of year when we load the trucks up with all the rods reels bait and other gear needed for a successful day of surf fishing. Throw her in 4weel and away we go. 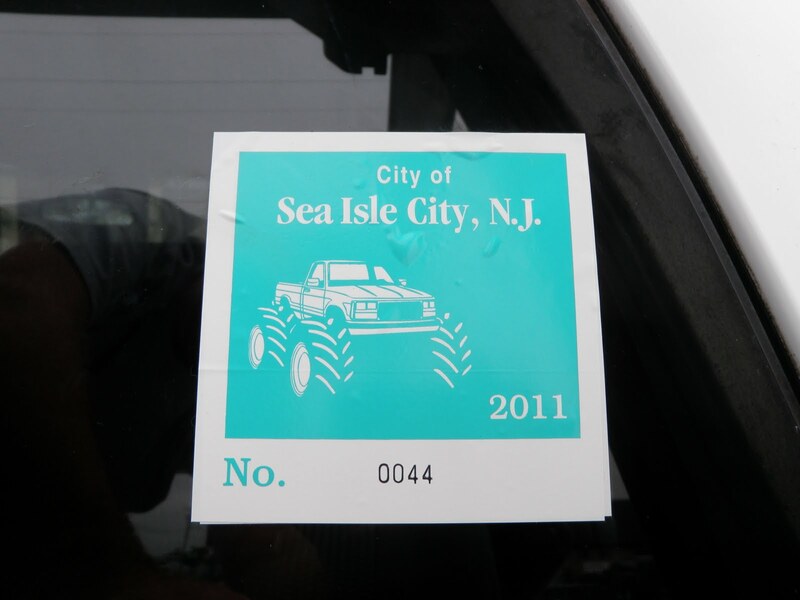 Beach permits are now available you will need a copy of you drivers license registration and insurance. The fee this year is $50 worth very penny to be rolling down the beach at down and see a bird play and be the first person on it. 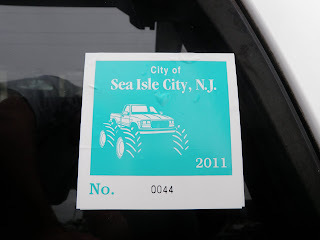 You can get the permits at the Sea Isle Police department. Are the Sea Isle Bait and Tackle Tshirts really lucky ???? You be the judge. This is one of the very first shirts we sold and it was covered in tuna blood just hours after it was per chest. Sounds lucky to me. They are going fast almost out of a couple of sizes and dezines all reedy so get yours soon !! !